In honor of what we are calling Earth Month (because a day just isn't enough), this April we challenge you to green your closet. Join us for 30 days of tips to make the journey a little less daunting. Check back here daily for a new reveal. Follow along on social via #Asteya30daychallenge so you don't miss a beat. three-hour wardrobe consultation! Just post a pic of yourself tackling each of the 30 challenges. Tag us in your posts (IG @asteya_co or FB @asteyaco) and be sure to use the hashtag #Asteya30daychallenge. All submissions must be posted by 5/5/18, 11:59 p.m. EST. We understand that it's not always easy to find socially responsible brands. Many of these brands are emerging and are still working to get the word out. It doesn't help that you're strapped for time, and in between work, kids' school drop-offs, making time for friends & family, you hardly have time to shop, let alone shop for brands you've never heard of before. So we are sharing a few of our favorite resources to make it a little easier. Good On You - Mobile app for all things sustainable fashion. You can search brands or browse by category. They turn up results ranked by earth-friendliness as well as $$$. Shoppers can also filter by style, gender, rating, price, proximity to a retail store, and online shopping. You can even mark your favorites for easy future reference. They are an excellent resource for sustainable fashion fanatics! Their articles like "How Ethical is Everlane?" dig deep to go beyond a brand's greenwashing to see how effective they are at being eco-friendly. Done Good - Mobile app with an easy to use interface that makes it easy to browse clothing for men, women, kids, even pets! Or you can browse by value (i.e. eco-friendly, organic, toxin free, cruelty free and more). They also offer great promo codes exclusive to DoneGood users in the app! Healthy Living - This powerhouse from the Environmental Working Group is actually geared towards beauty/personal care and now food products rather than fashion. But it's still a must-have on your phone so you can quickly see healthy your favorite make-up brands are. We use it constantly when in the store browsing for new products. Be sure to check out their sunblock / sunscreen guide before you reach for the Coppertone this summer. Ethica - An online collective housing independent ethical and eco-friendly brands. You can shop a number of smaller brands that you haven't heard of before in one easy spot. Great for newbies to the sustainable shopping movement. Ethi - Similar to Ethica, this is a collective that helps you shop brands with similar values in one easy place. Do you have any favorites that we haven't listed? Please share in the comments!! So what is microfiber loss, and why should you be concerned about it when you do laundry? Microfibers are created from synthetic materials like polyester, fleece, and spandex. These fabrics are made from plastics, i.e. oil, so are not biodegradable. That's already a problem for landfill waste, but we'll save that issue for another day. They are also smaller than natural fibers, so these slippery little fellas can find their way into places they should not be. When you wash your clothes, small amounts of fibers are leached into the water. Higher quality fabrics made from natural materials tend to hold up better in the wash cycle than do the cheaper rayons, nylons, and acrylics. These microfibers break down during washing, and are drained out into the water supply, eventually finding their way into our rivers, streams, lakes, and oceans. And the amount of waste is astonishing. Australian researcher Mark Browne found that microfibers make up 85% of human-made debris on the world's shorelines. To make matters worse, fish ingest these microfibers. So when we eat fish, we are consuming these pollutants. We are literally consuming our clothes! For more reading on the subject check out this post from the Guardian, this article on Patagonia's site and this update. They have been transparent in addressing the issue and finding solutions. The good news is that until something can be done by the fabric manufacturers, there is a band-aid fix in the form of the Guppyfriend. Just throw your running shorts, yoga pants, tights, Zara tops into the garment washing bag and wash as normal. The bag allows suds in, but doesn't let microfibers out. 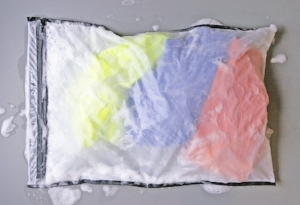 After the wash, you simply empty out the microfibers into the trash can, much like emptying the lint trap in the dryer. Yes, the fibers then go to a landfill, but for now that is better than going into our water. You can buy the Guppyfriend site-direct or at Patagonia. 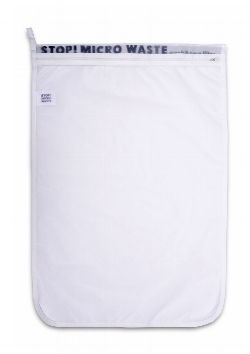 There is another product on the market too that works to reduce microfiber loss. It's called the Cora Ball. I know less about this product, but both are worth a try! I know it's tough to take extra steps when you're already busy trying to do laundry, be it for yourself or for an entire family, along with cooking healthy, organic meals, balancing careers, keeping up with friends and families, and oh so much more! But all these small steps add up. Although we are 22 days into 2018, it's never too late to tackle a new resolution. One of the resolutions I make each year is to "green" my life. I create a list of actions, both big and small, that I can take to reduce my footprint. Here are a few ideas from my lists over the years. Give it a try! By now you have probably seen quite a few holiday gift guides floating around. We are big believers that sometimes the best gifts are experiences. Aren't we really just craving more time with family & friends, more memories, more special experiences? And good news for you procrastinators out there, you can print off a gift card or gift receipt at home in seconds. 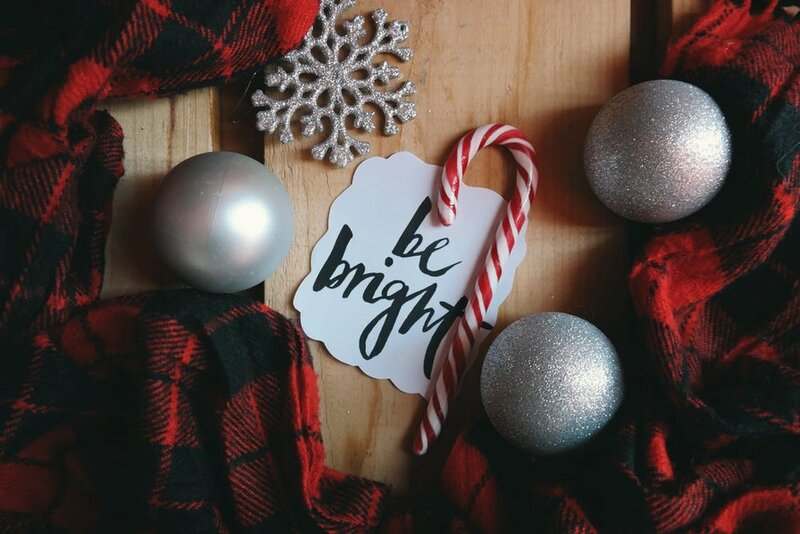 So here they are, our top picks for some unique gift ideas. Asteya Wardrobe Consultation - After all, this is our own gift guide, and we think our service is amazing! Truly though, if you have a friend, sister, mother, or wife (ahem, men are you listening?) in your life who is always complaining that they have nothing to wear, this is a game-changer. Sewing Classes - Whether you just want to learn how to hem your paints, make small repairs, or are interested in making your own dress, it's a great skill to have. Massage - There's just no such thing as too many massages. Some of our faves include Immerse Spa and Beach House Day Spa. Detroit Breweries Tour - Just make sure Batch is one of your stops. Yoga Class Pass - Are you sensing that we love yoga? Date Night - Perfect for those busy moms in your crew. Offer up your free babysitting services, then book a table for two at her favorite restaurant, send over a bottle of bubbles, cover their dinner, and watch her stress melt away. I am no stranger to tailoring. You might say I was even over-zealous about tailoring pieces when I had lost an inch or two off my post-baby waistline. The problem was I was still nursing, and I didn't account for the gift of burning an extra 500 calories or so each day. Rule #1 - never alter anything while you're nursing! But you probably already know that. So when our stylist, Paulina, was looking through my closet and came across this dress, I explained how I haven't worn it in years. She turned the dress inside out, quickly examined the stitching, and said that luckily the tailor left the extra material. Rather than taking the dress back to the tailor to have it let out, she suggested I just do it myself with a seam ripper. 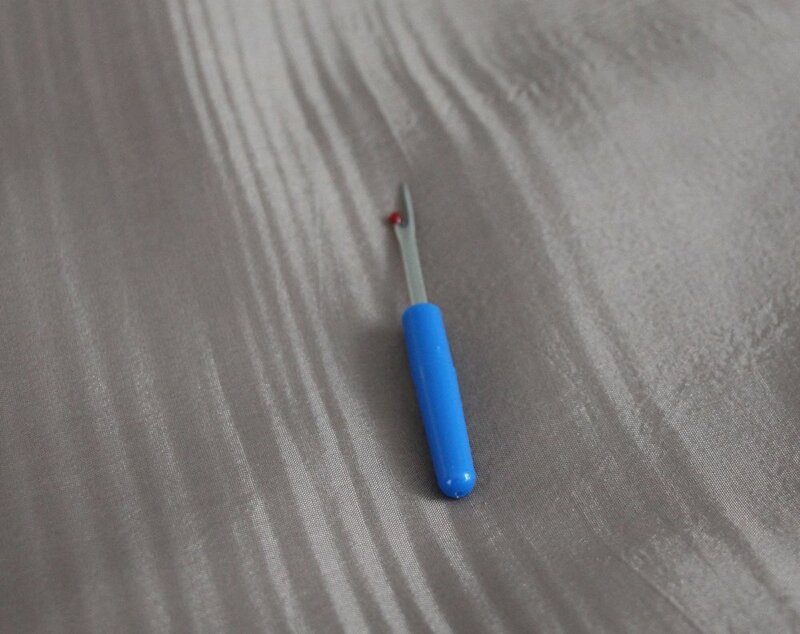 Ah, yes, a seam ripper. Wait, what's a seam ripper? This handy dandy $3 tool removes unwanted stitches. It is often used to remove mistakes when sewing. 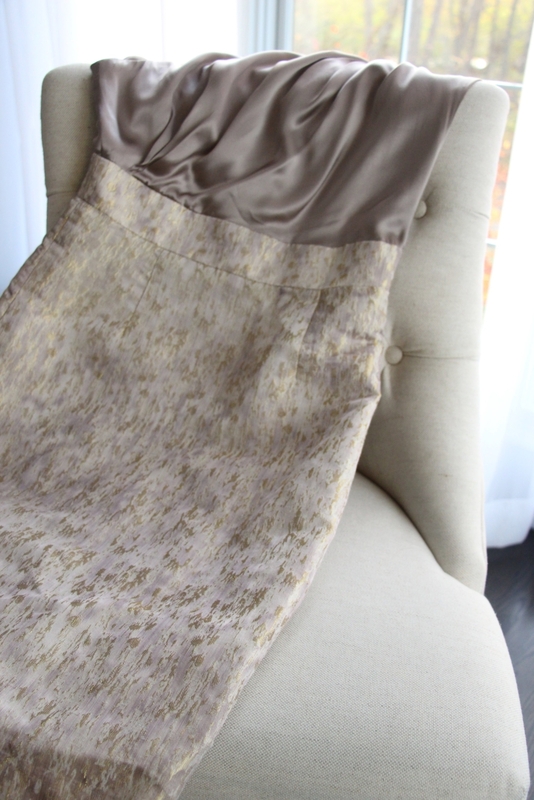 It also was able to cut through the and remove the tailor's stitching, opening the dress back to its original size. It is incredibly easy to use. Just insert the hook into the stitch, and the sharp blade cuts it open. The rounded ball on the other end of the hook protects the fabric. Cut along all the stitches, then remove the thread from the reverse side. Done. See the original stitch on the right and the tailor's stitch on the left. It took about 30 minutes to remove the four seams (outer layer and lining) and caused some minor hand cramping -- I have a newfound appreciation for the toll sewing must take on the human body. But when I was done the dress fit perfectly. Solid A.
I am starting a new series here on the blog called DIY Try. In the interest of joining the make, do, mend movement, I will try tackling small jobs myself. Two generations ago we repaired our belongings, and now, we live in a society where everything seems to be disposable. This is even more troubling considering we have doubled our population in just one generation. So join me on this journey and give it a go in your own life. We are excited and honored to be part of the lineup at the upcoming Women's Convention next weekend in Detroit! Earlier this year we saw the power of our collective voices as women came together from all over the country to march for our rights. Building on that momentum is critical to ensuring that our voices continue to be heard. We will be leading a discussion entitled Ethical Fashion: What it means for consumers, laborers, and the planet. Fellow panelists include Anjali Purohit, Designer and Founder of the sustainable brand Variously, Sarah Ayers, Founder of the cut and sew shop William + Bonnie and natural textile dyeing business Home Grown Textiles, Lori McColl CEO + Founder of the retail tech consulting firm Whim-Detroit, Bob Bland CEO + Founder of Manufacture New York & Co-President of the Women's March, and Tabitha St. Bernard-Jacobs, Women's March Team Member and Co-Founder of labels Tabii Just and LIVARI, a totally sustainable, women-led, zero waste fashion brand that's bringing a new brand of female-focused activism to New York Fashion Week. The slow fashion movement is here to stay and we will break down why it matters and how you can get involved. As a lifelong lover of fashion, I have always loved clothes. It is amazing how a mixture of fabric and cut can transform a person. Just looking at cashmere evokes that Sunday morning feel of comfort and coziness. 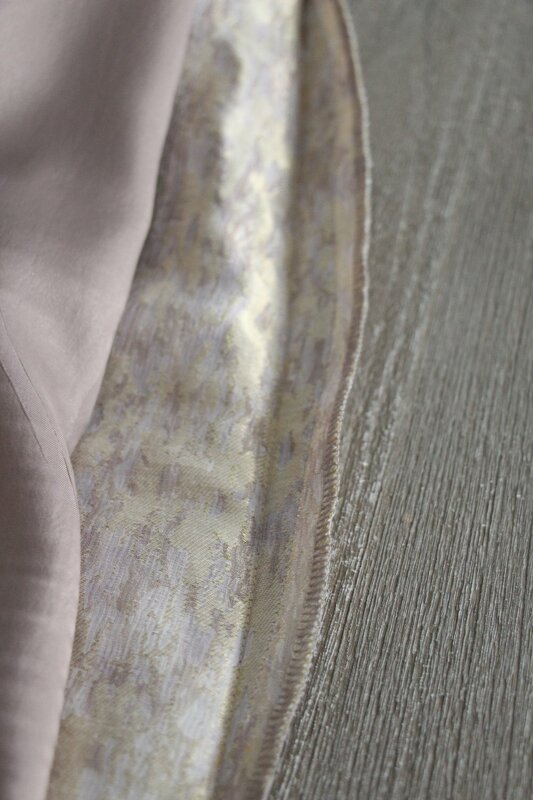 Silks can make you feel so sophisticated, softly draping in all the right places. And leather, oh how I love the way leather injects so much power into an outfit. The right outfit makes me feel like I can take on the world. The wrong outfit makes me want to run away and hide. But I am a no fashionista. I have had a lot of wrong outfits over the years. The idea for Asteya was born out of those fashion mistakes. During the last few years I realized that I was spending too much money on clothes, and that the trendy pieces I bought impulsively did not pair well with other things in my closet. So I went in search of ways to catalogue my closet, making it easier to find new ways to pair together old items. I tried all the style apps, but they were too time consuming, weren’t user-friendly, and did not show what the clothes looked like on me. This became a very key component of my business -- digital x personal. You can put together all the flatlays you want, but if you don’t see the clothes on your body, you’ve got nothing. I tried the online stylists and subscription boxes, but the problem wasn't that I needed more. I just needed to look at my wardrobe with a fresh set of eyes. But where to start? Personal stylists have been doing just this for years, but it can be challenging to find professional stylists. It's viewed as a luxury. It's not a well established industry. Department store personal shoppers have muddied the waters, calling themselves stylists when they are essentially just salespeople. The new crop of digital-only stylists are the same type of personal shoppers, just at an online platform instead of a traditional department store. Asteya is here to eliminate those issues and make the process of finding and working with a stylist as simple, affordable, and productive as possible. Why? Because you've been on this endless shopping treadmill for far too long. Because you're sick of the relentless barrage of trends the industry has been throwing at you. Because by investing a little time and money upfront you can take control of your own personal style, making the outer you reflect the inner you. Because you can save time and money in the long run. Because everyone deserves to look and feel their very best. Because we aren't looking and feeling our best - but we could be.